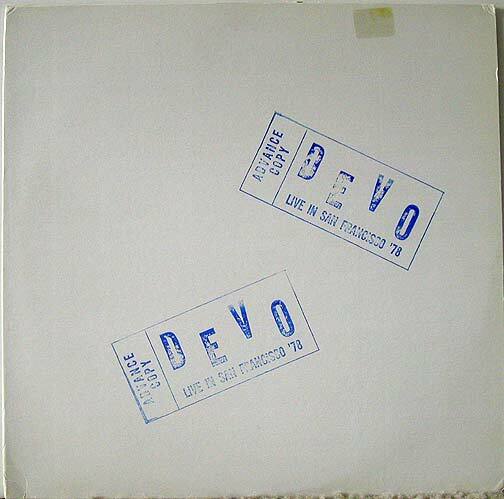 Bootleg of Devo live in San Francisco, 1977. Plain white cover with blue ink stamp. Back cover is blank.